Enjoy the last slice of summer! The hot, hot days of summer may be over, but September is a lovely month in which to take a short break in Kent and Sussex as the crowds have gone and the weather is still warm. The countryside looks gorgeous in September as the colours are slowly changing, while on the coast, the seaside towns and beaches are quieter and lovely to visit at this time of year. There is so much to see and do, you will be spoilt for choice for days out and places to visit. You may want to fill this day with a walk in the countryside followed by a meal at a lovely local pub; a visit to one of the many wonderful vineyards in the area; a cycle ride along a coastal trail with fish and chips along the way, or a visit to an historic house or castle. The choice is yours! Events taking place in the area include the Canterbury Food Festival (21-23 September), a Napoleonic Re-enactment Weekend at Hole Park Gardens, Rolvenden (1-2 September) and a Hops ‘n’ Beer Festival at Kent Life, Maidstone (8-9 September). 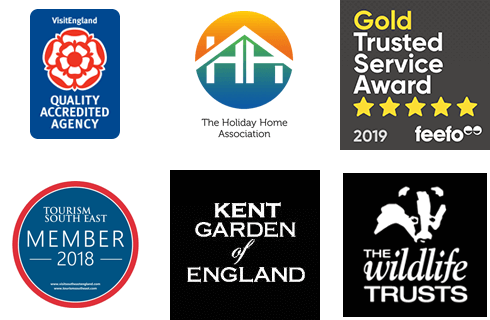 Check out Visit Kent’s website if you want to find out more, as you can search here for events by area. Of course, if you don’t manage to see and do everything you want to, you can book your favourite cottage on you return for next year!